John Prescott, Ph.D., will present another in his series of early music lecture courses in May—an entirely new series focusing on Mozart’s grand tour as a wunderkind, from 1763–66. The course runs Monday, May 1, through Friday, May 5, from 9:30 am to 12:00 noon, at St. Mary Magdalene (Norton Hall), 2005 Berryman St., Berkeley. Dr. Prescott’s lectures for interested adults have become a beloved institution for SFEMS members, as he has used his extensive scholarship, intelligence and wit to make early music and its historical context come alive for enthusiastic audiences. Over the past eight years, his well-attended, in-depth courses—always including many audio samples—have covered the biographies and works of such musical giants as Bach, Handel, Vivaldi and Telemann and surveyed entire periods or historical movements, such as his 2013 lectures on the French baroque or 2014’s series the transition from Renaissance to baroque in Italy, England, Germany, and the Low Countries. In 2015 he focused on the history of a particular group of instruments, surveying the development of keyboards from the late Renaissance through the early Classical periods, and last year he surveyed the development of chamber music during that same historical period. As with Dr. Prescott’s previous lectures, proceeds from this course go to benefit the SFEMS Music Discovery Workshop and Youth Collegium, a week-long summer day camp that introduces children to early music and social history through music instruction and theater projects. Since Mozart’s childhood tour of Europe is this year’s focus for those workshops, it is entirely appropriate that the lectures explore this same, fascinating historical event. 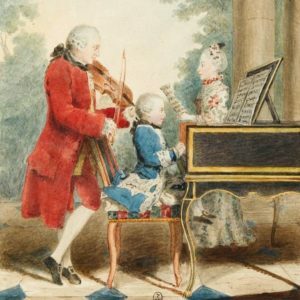 Perhaps the most well-known aspect of the life and career of Wolfgang Amadeus Mozart is his status as a child prodigy. Before the age of ten, young Mozart accompanied his father and sister, “Nannerl” (Maria Anna), and who was 5 years his senior, on the first of two grand tours of Europe. The purpose from the point of view of the Mozart family was to exhibit the great talent of the Mozart children to the musical world. However, the other wonderful effect of these travels was to expose Mozart to music he never would have encountered if he had remained at home. Day 1 will take up the musical life in Paris during the 1760s; Day 2 will document Mozart’s experiences in London, where he met and played with J.C. Bach and composed his first symphony; Day 3 will discuss music in Germany and the Low Countries; Day 4 will move to Italy, where Mozart learned about opera; and Day 5 will consider Mozart’s musical responses to these travels. You may register for all five days or individually by day. Musical experience or ability to read music are not necessary. Come listen, learn, and join in the adventure! Tuition is $30 per lecture ($25 for SFEMS members) or $125 for the full, five-week course ($110 for SFEMS members). For further information about this course, to register, or for information about an “Early Bird” registration discount, contact Suzanne Siebert at suzannesiebert@gmail.com. 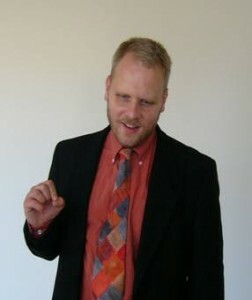 John Prescott is an affiliate of the San Francisco Early Music Society.